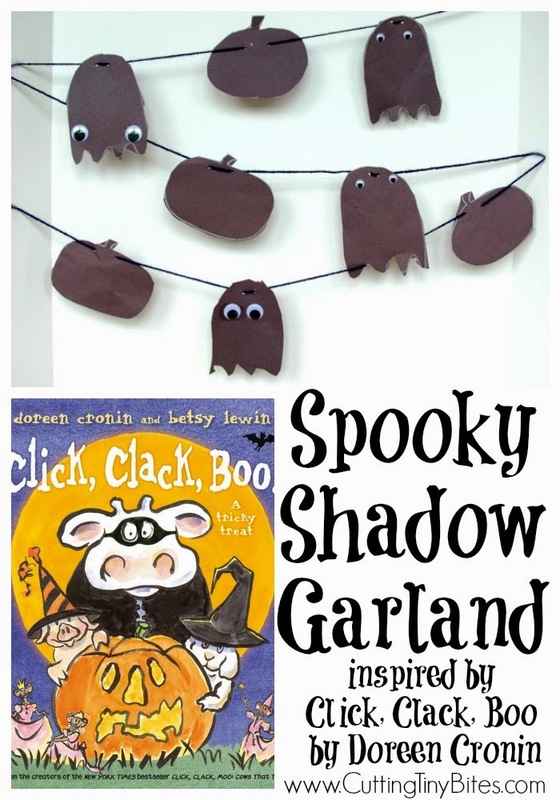 This Halloween craft and decoration was inspired by the fantastic book, Click, Clack, Boo! 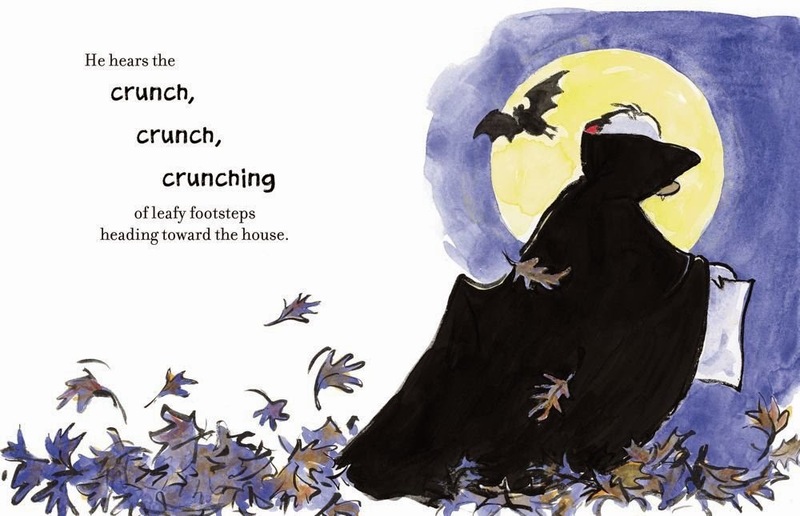 : A Tricky Treat by Doreen Cronin and Betsy Lewin. 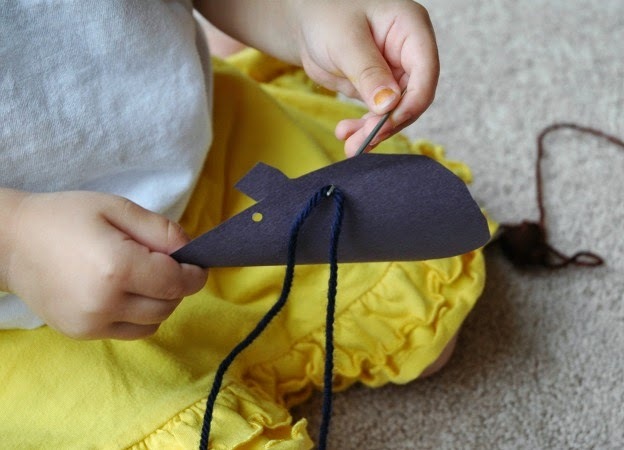 It is quick, simple, easy, and you probably have the materials on hand! One of the primary artistic features of this book is the use of shadows and silhouettes to create a lightly spooky feel. 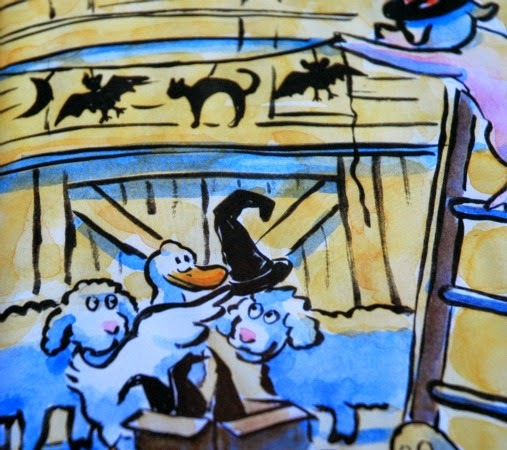 Many of the characters appear in silhouette, and the barn is decorated with a shadowy Halloween garland that we decided to mimic! 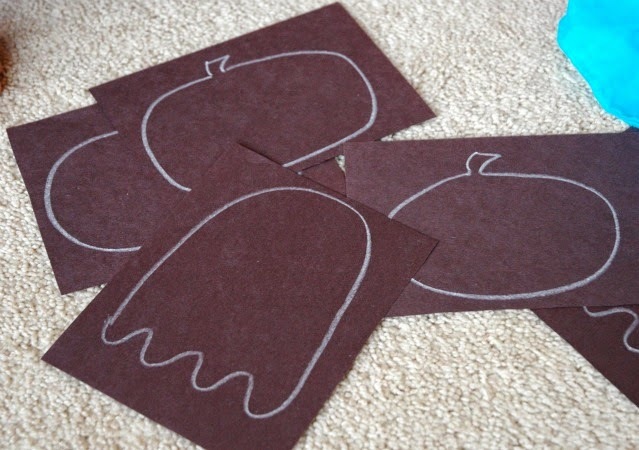 Draw some simple Halloween shapes on black construction paper. I just did ghosts and pumpkins, because I knew that Lena would be able to cut them out. If you have older children, you could do more complicated shapes. 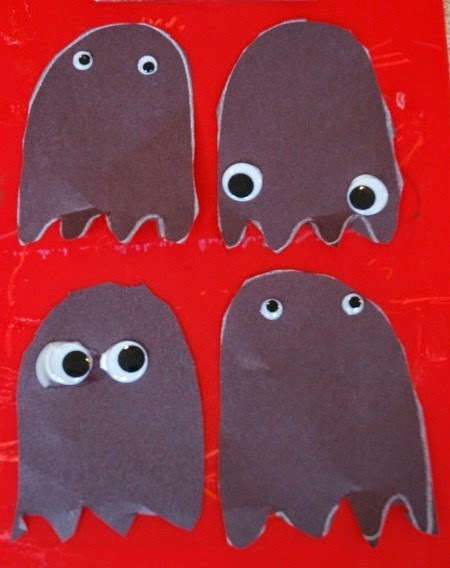 We added googly eyes to our ghosts (even though that made them technically not shadows anymore). Punch 2 small holes in the top of each shape. 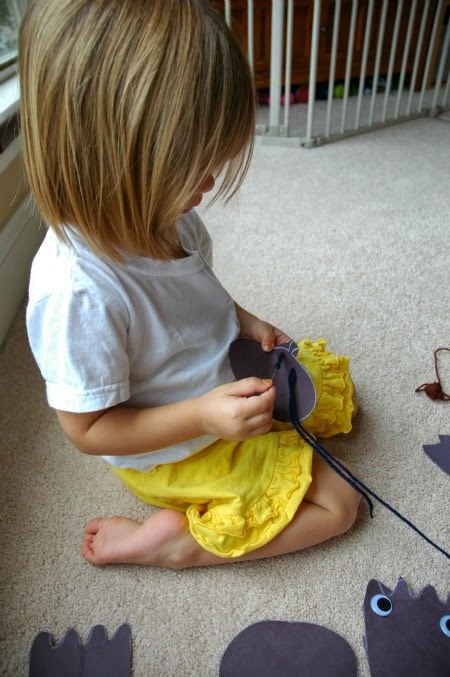 Use a yarn needle to thread your shapes on a string or ribbon. Hang it up! Wasn't that easy? For another great activity based on Click, Clack, Boo!, check out this fun Sound Effects Box! This post is part of an AWESOME Halloween Read and Play Blog Hop. Make sure to check out the other book based activities from fantastic bloggers! Don't forget to check out the Read and Play Pinterest Board which features ALL these great activities! Sound Effects Box for Click, Clack, Boo! 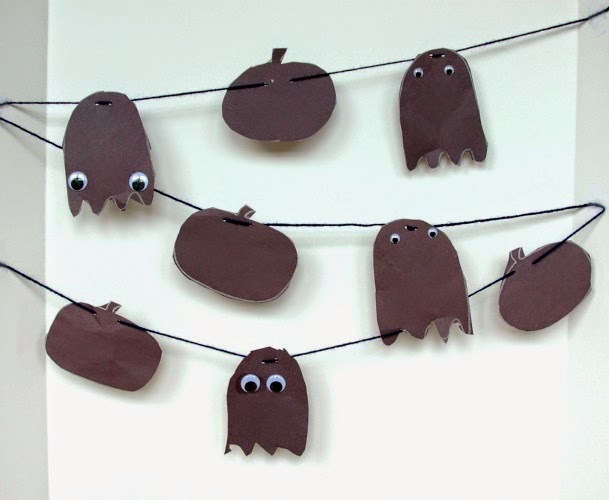 Fun Halloween craft for preschoolers to use with the Doreen Cronin and Betsy Lewin book Click Clack Boo.